As one of the most vital systems in your home, your plumbing system can stir up a lot of questions. That’s often because much of the system is out of sight, out of mind. A plumbing system can seem mysterious. From concerned questions about leaks in the middle of the night to urgent holiday cold-water mishaps, your friendly Air Tech plumbers in LBI have heard it all. When it comes to your LBI home, you deserve only the best. Here are the top ten questions we hear from local residents and businesses about their plumbing system. 1. What causes a drain clog? Clogged drains often occur because of what people put in them, especially in the kitchen. Other drain clogs happen because of soap residue, or oils from shampoo and hair. 2. Why is my toilet running? The common reason a toilet keeps running is because the flap at the bottom of the tank isn’t sealed shut. 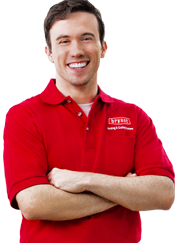 The Air Tech plumbers in LBI can identify the cause and make a quick fix. 3. Where’s all my hot water? Depending on the age of your hot water heater, if you’re running out of hot water, you could be facing worn out parts that may require repair or replacement. Your water heater could also be running out of hot water due to a tripped reset button which could potentially indicate a bigger problem. 4. What’s the difference between hard water and soft water? A lot. And the difference can cause damage to your home. If you’ve experienced damage to clothing from the laundry, pipe scaling, or faucet fixture deterioration, you could have a hard water problem. 5. My water bill has spiked but I don’t see any faucet leaks. What could be causing this sudden increase? First, check your toilets and make sure they’re not leaking. Then check the fill valve, inside the tank and the flapper. These are all relatively simple fixes, but if everything checks out just fine, you could be looking at a potentially larger leak in an underground pipe which requires a camera scope drain line to identify. 6. If I experience a major leak in my LBI home, what should I do? Turn off the main water supply asap. As a homeowner, it’s important to find out where the main shut-off valve is located (and let your family members know too). If it’s an emergency, don’t hesitate to call the professional plumbers in LBI. 7. Is it safe to use a drain cleaner? Drain cleaners are usually very toxic and not good to keep accessible, especially with children or pets in the home. These toxic chemicals can also have a negative effect on pipes and can cause deterioration from the inside out. If this happens, drain lines will require replacement. 8. What can I put down the garbage disposal? Brittle debris like egg shells, soft vegetables like cooked carrots, peas or mashed potatoes as well as small pieces of food, like ground turkey, can all be ground up and flushed down the pipe. Always run your water when running the garbage disposal since moisture helps to break down the food. Never put fibrous materials like asparagus or corn husks, which can jam things up. 9. What causes loud rumbling noises from our water heater? Two of the most common causes for loud noises are sediment in the tank or steam. Steam problems can be corrected my simply lowering the thermostat. Sediment will need to be addressed by opening the drain valve at the bottom of the tank and allowing a little water to drain until it’s clear. Call in your trusted plumbers in LBI for a professional look. 10. How do I find the best plumbers in LBI? Ask around for referrals. Always do your research first and read reviews and testimonials online. 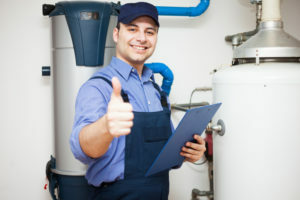 As your trusted LBI HVAC and plumbing company, Air Technical Services Heating and Cooling experts go beyond the basics. Whether you need plumbing repairs, maintenance, replacements, installation services, we’ve got you covered. Speak with one of our plumbing experts today by calling us at 609-698-3400.